Why Is Generator Maintenance Important? You may have heard that you should be performing maintenance tasks on your generator at least once a year. Maybe you have fallen behind and forgotten about your generator for a few years. You may be wondering why generator maintenance is so important. 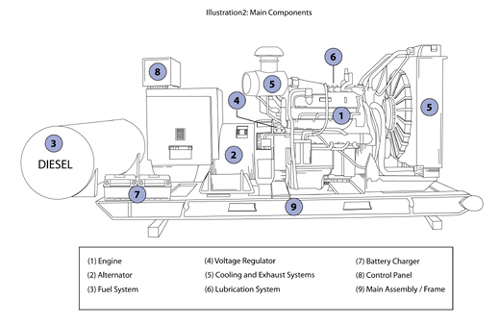 Keep reading to find out the benefits to performing generator maintenance tasks. You most likely have a generator on your property to use in the event of an unexpected power outage. Of course, you want your generator to be working when you need it most. When the power goes out unexpectedly, that is the last time you would want to find out there is an issue with your generator. If you perform generator maintenance tasks you will ensure that your generator will run when you need it. Without proper maintenance generators are more susceptible to fuel problems like algae build up on the fuel system, clogged fuel injectors, and dead batteries. These types of problems can even ruin your generator itself if they are let go for too long. Although ignoring generator maintenance may save you a few bucks in the short-term, if you ignore maintenance for too long you will end up with costly repairs in the long run. You might even have to replace your whole generator unit. A generator can be a large expense, and one you don’t want to make too often. By keeping your generator properly maintained you will be able to keep your generator running smoothly for longer than if you ignored maintenance tasks. If you do have to run your generator, of course you would want it to run efficiently as possible. 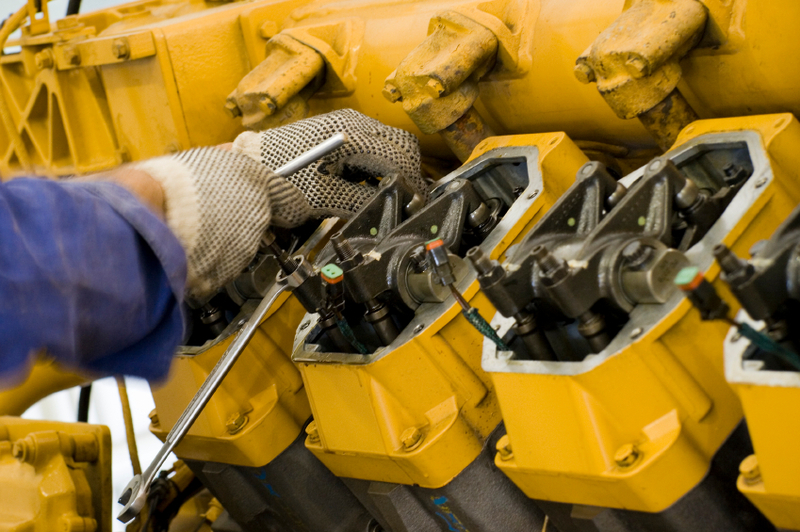 Generator maintenance tasks help your generator to reach its highest efficient potential. Overall, generator maintenance will help to keep your generator in mint condition for years to come. This in turn, will save you time and money. Author alternativepowerelectricPosted on April 26, 2018 April 10, 2018 Tags alternative power and electric, generator installation, generator maintenance, generator replacement, generator salesLeave a comment on Why Is Generator Maintenance Important? A generator can last for decades but it needs proper maintenance. Just like it’s important to eat healthy and exercise, a generator also needs maintenance to prevent it from breaking down. The better the maintenance, the longer your generator will function without the need for extensive repairs, which can translate into serious cash from purchasing expensive parts or even replacing the whole unit. Read on for seven top maintenance tips to ensure that your electrical generator is safe and ready to go when the power runs out. This may seem pretty self-explanatory, but investing in a warranty might be the best thing to protect yourself when power runs out as generators aren’t cheap. Get to know the coverage; it might be full or partial. Investing in a back-up generator can also help control your home insurance costs as well. Electricity is susceptible to water and the slightest rainfall might damage a part that might cost a pretty penny. Depending on whether your generator is a standby model or portable, you’ll want to invest in either a cover or an enclosure. Another suggestion is to build a generator garage similar to that of a doghouse for a portable generator. Manufacturers recommend running generators every three months for about 30 minutes to charge the battery for the electric starter. The last thing you’ll want is to discover that your electric starter isn’t working in time of need. You don’t want to purchase a generator that will exceed the maximum capacity that your generator is able to put out. Be sure to read the ratings before buying a generator — there’s the higher “maximum” or “starting” rating or the “rated” or “continuous” watts. If you buy a generator for the higher power level, it will only work for a short time and at that level. But at the end of the day, that generator won’t extend its running capacity, and off you’ll be — running to find a new generator. Generators are useful appliances that supply electrical power during a power outage and prevent discontinuity of daily activities or disruption of business operations. Generators are available in different electrical and physical configurations for use in different applications. In the following sections, we will look at how a generator functions, the main components of a generator, and how a generator operates as a secondary source of electrical power in residential and industrial applications.